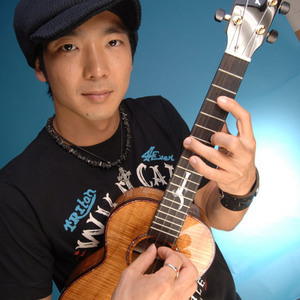 Jake Shimabukuro is a young ukulele virtuoso from Honolulu, Hawaii. Combining elements of jazz, rock, Hawaiian, and pop, he is often called the Jimi Hendrix of the ukulele. His discography includes the solo albums: Sunday Morning, Walking Down Rainhill, Crosscurrent, and Dragon (released October 2005). He has also released an instructional DVD called "Play Ukulele Loud". Jake has toured with B&eacute;la Fleck and the Flecktones and with Jimmy Buffett.